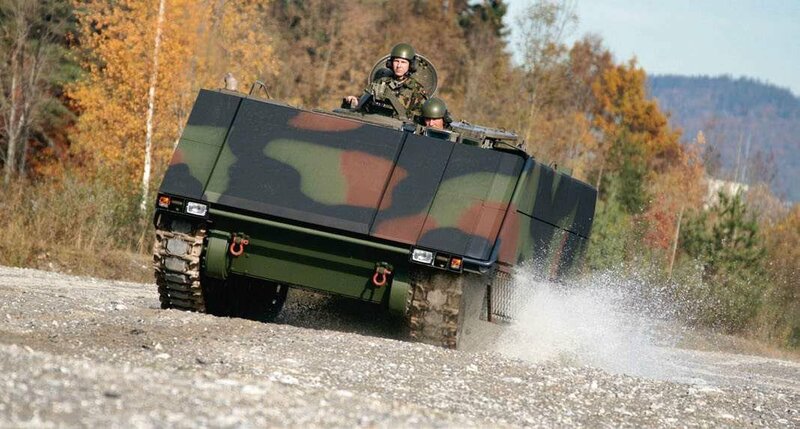 The Swiss company RUAG is offering a wider array of add-on armor types for enhancing the protection of older combat vehicles. It offers three main families of protection products: under the SidePRO brand, armor protection systems for protection the vertical aspects of a vehicle (so the front, sides and rear) are offered, while the RoofPRO brand includes protection systems for the vehicle roof. Lastly the MinePRO brand contains protection solutions for wheeled and tracked vehicles against IEDs, anti-personnel and anti-tank mines. Aside of SidePRO-KE/IED, which provides ballistic protection against armor-piercing ammunition, explosively formed penetrators (EFPs) and fragments from improvised explosive devices (IEDs), the SidePRO family of products also includes the SidePRO-Lasso anti-RPG net, the SidePRO-ATR armor modules for heavy vehicles and the SidePRO-RPG passive armor. SidePRO-KE/IED requires at least 7 milimetres of steel armor for backing and apparently consists of conventional ceramic armor or (spaced) metal armor depending on application. The most interesting offer from RUAG's armor protection portfolio seems to be the SidePRO-RPG passive armor system; for all the other armor types there seem to be similar solutions offered by other manufacturers; for example the SidePRO-Lasso armor is nearly identical to AmSafe's Tarian RPG net, while SidePRO-ATR appears to be very similar to the heavy AMAP solution used on the Leopard 2 Evolution and other vehicles. The SidePRO-RPG armor modules are less than 250 mm thick; this is broadly comparable to other passive and reactive armor solutions against RPGs. For example the original Chobham armor package developed as upgrade to the Chieftain tank included 204 mm thick side armor modules consisting of spaced steel plates and plastics layers. The SidePRO-RPG armor provides protection against the RPG-7 firing the PG-7V, the PG-7VM or the PG-7VL ammunition. The PG-7VL is the most capable of the mentioned ammunition types, using a 93 mm diameter warhead to penetrate up to 500 mm of armor steel. However it should be noted that all of the RPG-7 rounds mentioned in the SidePRO-RPG marketing material by RUAG use single stage shaped charge warheads, not a single one is using a tandem warhead arrangment. This implies that the SidePRO-RPG armor is not capable of defeating RPGs with tandem shaped charge warheads. Given a thickness of less than 250 mm, the SidePRO-RPG armor reaches a thickness efficiency of up to 2 or more against RPGs with a single shaped charge warhead. This seems to be quite good performance, although not necessarily better than other passive (non-explosive) armor systems against RPGs. The SidePRO-RPG armor has an areal density of only 45 kilograms per square-metre, which is equivalent to a 5.7 mm thick steel plate! Slat armor (also known as cage armor and bar armor) can be slightly lighter with a weight of only 25 kg/m² when using lightweight aluminium alloys, while flexbile net armor such as SidePRO-Lasso and the Tarian RPG-net can weigh less than 20 kg/m². However the latter two types of armor are known to fail on a regular basis and provide protection against RPGs in only between 50 to 65 percent of all cases. In the other cases the penetration of the RPG is nearly unaffected by the slat/net armor. The SidePRO-RPG armor seems to not suffer from the same issues due to a completely different design. Defeating a RPG-7 firing a PG-7VL round with 500 mm penetration seems nearly impossible, when the weight of the armor equals to only 5.7 mm steel per metre. 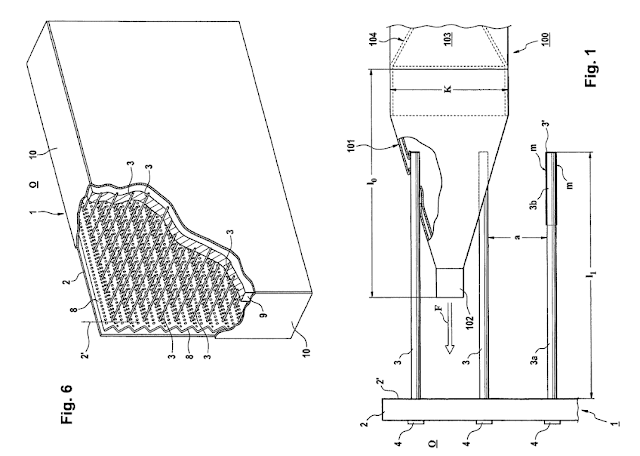 Essentially the armor has to provide about 88 times as much protection per weight then armor steel (if one ignores that the base armor might be required to absorb some leftover penetration capabilities of the liner fragments)... this is far beyond the capabilities of most explosive reactive armors (ERA), which usually reaches only about 20 times the protection of an equally heavy steel plate against shaped charges. Slat armor can reach a higher mass efficiency by cutting the fuze wires of a RPG and then crushing the warhead. SidePRO-RPG however is not working in the same manner. So how is this light-weight armor capable of stopping RPGs? The answer to this question is given in a number of patents from RUAG. Apparently the SidePRO-RPG armor modules consists of an array of metal spikes, which are evenly spaced along the armor module and slightly less than 250 mm long. The distance between the spikes is smaller than the warhead diameter, so that multiple spikes are guaranteed to damage the RPG projectile. There are different options on how the spikes actually work; most likely they prevent the shaped charge jet to properly form, disturbing the metal liner when it collapses after the explosive filler detonates. In tests of similar armor concept against a shaped charge artillery submuntion, which was capable of penetrating 200 mm armor steel, a single thin rubber spike disturbing the jet fromation reduced the penetration to only 3 to 25 milimetres, depending on the spike location. Given that in case of SidePRO-RPG multiple spikes are expected to interfere with the jet fromation, the protection provided by it should be even higher. Armor based on this principle is used on the German Panzerhaubitze 2000 and the Puma IFV to protect the roof against artillery submunitions. Alternatively the metal spikes might be capable of piercing through the metal liner, before the fuze is triggered. This would lead to a great reduction in penetration capability, a number of hardkill active protection systems rely on piercing the warhead/liner of RPGs (via metal fragments) in order to reduce their penetration performance to a minimum. However given that the metal spike length is limited to 250 mm and the in-built standoff of the PG-7VL at the center section of the warhead is more than that, this seems rather improbable. Furthermore the armor module contains a crumple shield made of a polymer (i.e. plastic) and is covered by some sort of thin ballistic foil, metal or plastic. An optional layer of perforated armor can be installed inside of the module, which provides protection against heavy machine gun ammunitions or smaller medium calibre rounds, depending on the existing base armor. RUAG's armor is an interesting concept for upgrading older vehicles, which can only support a limited amout of additional weight, without adopting slat or net armor. The armor has been tested on the M113 armored personnel carrier (APC) and has been showcased on the APC version of the French VBCI 8x8 vehicle. Both these vehicles have rather limited amounts of base armor. Wow... this SidePRO-RPG aren't bad at all. If any nation still using M113 armored vehicle but haven't upgrade yet they can try that one. Sadly, this concept is getting increasingly obsolete for this purpose despite its young age. Terrorist groups have access to far more capable threats today, and in large numbers as well. This includes RPG-7VR, RPG-29, and ATGMs. I don't think there's really a market now for the SidePRO-RPG when it only protects against a minority of the threats. According to Jane's IHS, the ArmorShield-R ERA used on the M2 Bradley also can only protect against single-stage shaped charge warheads. Still the M2 Bradley is considered well armoured for an IFV. It is just no possible to defeat tandem charge warhead without going for a heavier weight. This is why SidePRO-RPG IMO should be considered an alternative to light ERA systems, which lack the multi-hit capability of SidePRO-RPG. I didn't say it's a downside with the Bradley. It wasn't required at any point to resist RPG-29. Which regardless of ERA type, would still require some minimal base armor that it lacks. You and I both know ERA never really fully stops HEAT. But this is why they're going for an APS. What I meant mostly is that the SidePRO-RPG is designed solely around defeating single stage warheads. While an ERA kit such as ASPRO-R/H (depending on chosen variant as they're whole families) could at least damage the main warhead. What about other type of anti tank rounds like M72 law or CG M2/3 RR AT-4 ect? The armor should also work, unless the standoff of the shaped charge warhead is too large or it uses a tandem warhead.